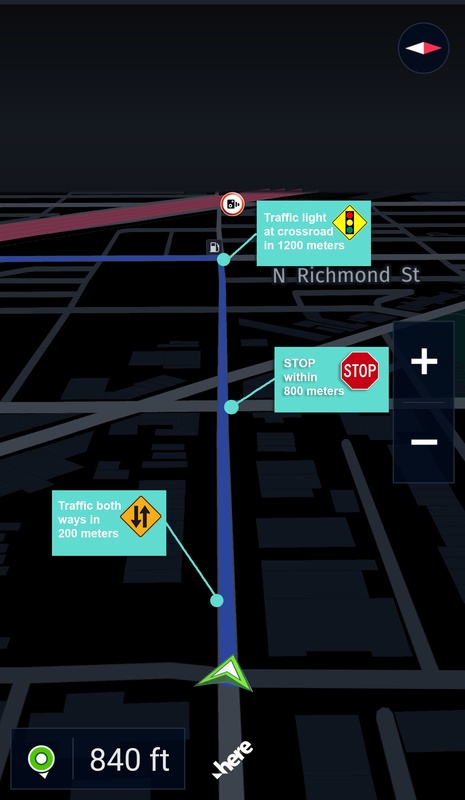 We’re all aware of how anticipatory data is contributing today to ADAS and Autonomous Driving applications, but this data is becoming increasingly useful to a variety of mobile applications as well. For this reason, we’ve extended these capabilities beyond the ADAS onboard unit, and onto mobile devices. With the HERE Mobile SDK, you can now access Electronic Horizon capabilities and utilize them the way it makes most sense to your application. Electronic Horizon gives you access to a variety of ADAS compliant road geometry and relevant map data. Information on form of ways, roundabouts, carriageways, as well as interchange and service roads can now be utilized by your application to prepare users and drivers of upcoming road conditions. Speed limits, stop signs, crossroads, blackspots and traffic light information can also be provided for a more realistic view of the journey ahead. 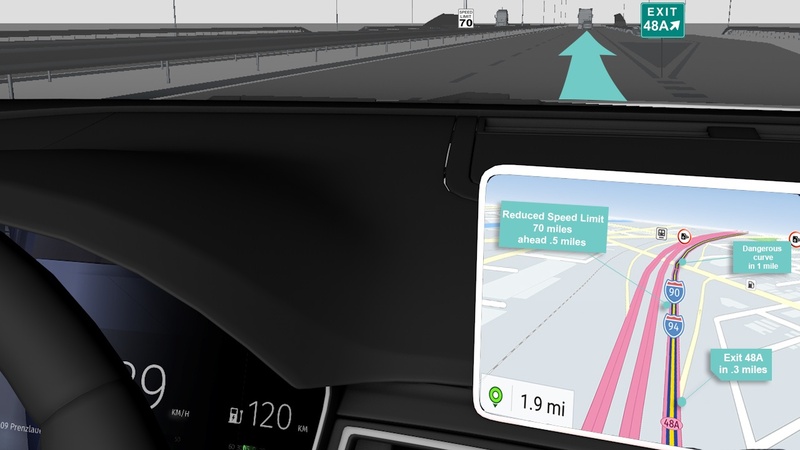 This can be possible, with or without a data connection, while in the navigation mode as well as in tracking mode, when the user is not following turn-by-turn directions to a destination. How can it be useful to my application? Using the ingested map topography, the vehicle positon and other related road attributes, the Mobile SDKs can calculate the vehicle’s most probable, as well as alternative paths, and provide it to the mobile device. Then it scopes out the topography and curvature of the road ahead and other linked roads, as well as other map attributes. This is done for over several kilometers ahead, in order to efficiently warn a user or driver regardless of the path selected. For example, you can notify a user if a stop sign is located within 800 meters which the driver needs to carefully approach, or if a dangerous curve is nearby and the driver needs to slow down and carefully engage in a sharp turn. Other type of anticipator data can also be provided, like if a road is open for cars or pedestrians only, as well as the direction of traffic and if traffic is possible both ways. When a road goes through a tunnel, it can intelligently alert a driver to assure proper precautions are taken when passing through. An easy to use native API is available for development on both Android and iOS devices. This service gives access to a variety of ADAS data that can be easily embedded into any mobile application. Electronic Horizon is included in the Premium SDK for Android and the Premium SDK for iOS. You can test out the features through our 90 Day Free Trial, or contact us for a commercial premium SDK.